Episode 11×03 “The Relaxation Integration” — As Sheldon stresses about picking a wedding date, Amy tries to convince him he has a more laid-back side. Also, Koothrappali and Stuart compete to win the heart of Bernadette’s new coworker, Ruchi (Swati Kapila). Air Date: Monday, Oct. 9 (8:00-8:31 PM, ET/PT), on the CBS Television Network. 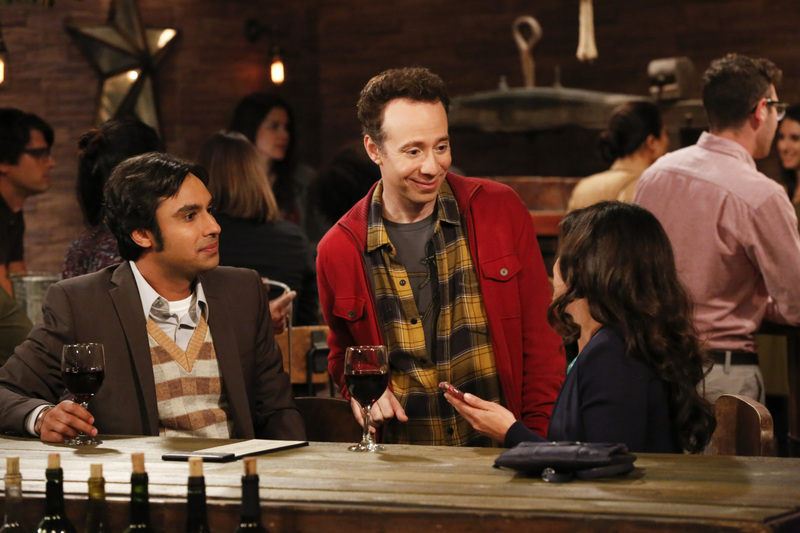 "The Relaxation Integration" -- Pictured: Rajesh Koothrappali (Kunal Nayyar), Stuart (Kevin Sussman), and Ruchi (Swati Kapila). As Sheldon stresses about picking a wedding date, Amy tries to convince him he has a more laid-back side. Also, Koothrappali and Stuart compete to win the heart of Bernadette's new coworker, Ruchi (Swati Kapila), on Monday, Oct. 9 (8:00-8:31 PM, ET/PT), on the CBS Television Network. Photo: Robert Voets/Warner Bros. Entertainment Inc. ÃÂ© 2017 WBEI. All rights reserved.